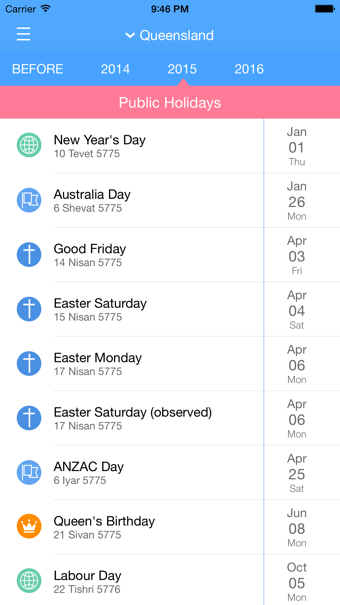 Never miss a holiday, forget appointment again! 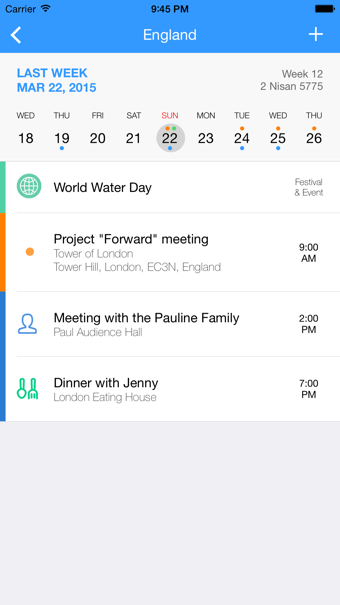 Get organized with Everyday Calendar, the best iOS calendar application for quickly viewing holidays and appointments. Comes with nice and clean layout. Detailed information about holidays and observances around the world. 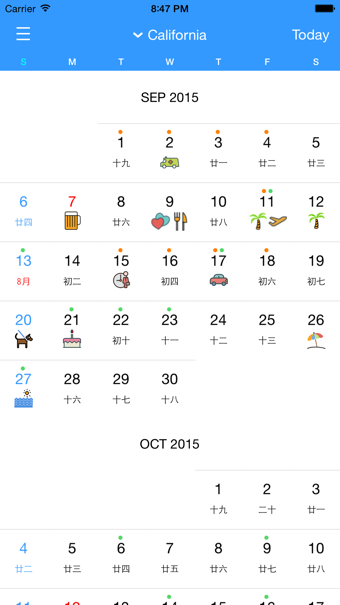 Support alternate calendars, including Chinese, Hebrew and Islamic. Event icons give you a better and clear view of your important event. Drop me a line and I will get back to you.